When will these be available for purchase? Beautiful looking multi function bikes. Get 'em nailed down and in stock, I don't care what color you settle on, I'm gonna want a 58cm for my next build. They'll be here in time for Spring. We'll probably try to do a pre-order, so keep your eyes peeled. Both colors look great, but I'm pulling for green. Oh man this frame looks great, but it really needs through axles. Looks sweet! How wide are those Curvy bars? @ anon 12:54- the bars are 680 mm wide. Looks super sweet and very well thought out. A+. I think my touring bike needs are officially filled for a little while, but I hope these sell like hotcakes so if I ever feel the need to go disc they will be around! GGGRRREEENNN!!! I hope you guys heard that, If it fits 650b x 2" and I can get a GREEN one in 58c with curvy too bars. As soon ad I know complete geometryI'll pre-order in a heartbeat. I'm split between the green and the white. If it were more of a Shamrock green, I would start figuring out what I could sell to be able to afford a frame! Curious what happened to blue. I thought that decision had already been made, admittedly by Chris, the former owner. I thought that was a good choice. Between white and green, I'd strongly recommend white. With the new decal design it gives a look of high quality, which is really exciting to me. 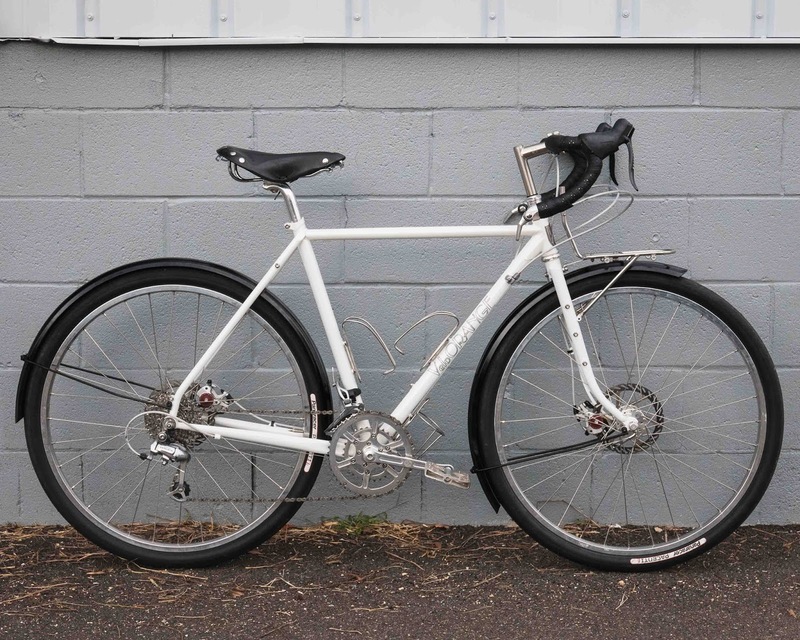 It reminds me of the classic Schwinn Paramount, which looked great in white. The green, by contrast, looks cheap to me, and is an excitement suppressor. This is said by someone who has been riding a green bike enthusiastically for eight years. Much depends on the type of green. Apologies to all the green enthusiasts. Bike aesthetics, for me, are a major part of the total experience. Loved the old Polyvalent in blue and also the previous green. I'll buy it, however you paint it. Also, appreciate the reduction of top tube diameter. 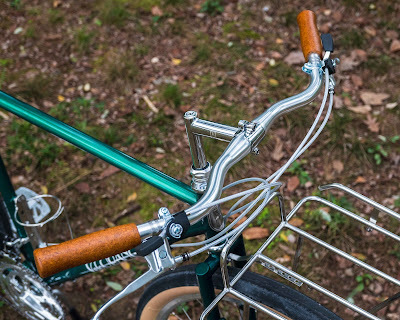 I love the color of both of the polyvalent prototypes that you took to Europe this summer. Please, please keep these colours, especially the blue paint! I loved the colors of both of the prototypes that you took to Europe this summer. Please, please keep the blue paint! The metallic blue is still in the running! Paint is so subjective and it isn't something we take lightly at all. The nice thing is that powder coating or repainting is incredibly reasonable nowadays, especially when the frame is brand new and there isn't any repair work that needs to be done. A vote for white! Cool bike. Looking forward to full specs. Would also love to hearing about how tubing compares to some of your other offerings. what is the offset and/or trail of the fork? So will it fit 650x2.35? And Curvy bars look a lot like these, http://sim-works.com/en/nitto/getaround-bar, what is the difference? It's not truly multipurpose if you can't run a fixed wheel. 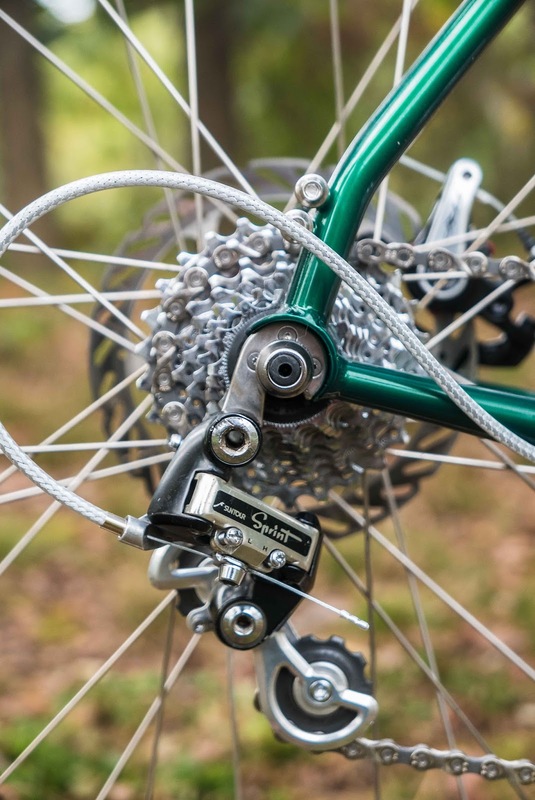 Will you ever make another bike with horizontal dropouts and canti studs? The blue is particularly timeless and harmonious, really a handsome shade. Green tends to get dated quickly, although this is a nice cheerful shade differentiated enough from foliage. I used to have a white bike; it was a nice alternative neutral but showed every scuff. The point about the ease of powder coating is fair enough; at the price of a VO frame, if you are dead set on a color, go ahead and fork over an extra $100 to a powder coat outfit and get exactly the color and finish you want. I could see myself going that route. This is a frame that will be able to withstand multiple builds over the course of its long life and retain its ride quality. Pretty delightful prospect. So close to being a decent bike that I'd recommend to a friend. Can't wait until VO moves past threaded headsets and embraces this newfangled threadless technology! We may in the future, but we only have so much warehouse space! Haven't tried that combo in particular. For that size, it would be better suited to 26" wheels. The Curvy Bars are quite different! The Curvys are made out of aluminum alloy, they have a 31.8mm clamp diameter, no rise, and are a tad bit narrower. Interested in the tubing specs! Any details? I love the metallic blue I've seen pictures of before. Second choice is the green. I thought I'd like a white bike, but the outline-only graphics are too subtle, in my opinion. Re the comment above about threadless: That's a deal killer for me. I've had 4 threadless bikes and they've eventually limited me to the point that I sold them. I want the adjustability of a threaded system, and won't buy a bike that doesn't provide it. To those who want threadless there are 10,348 options out there; those who want threaded have only a handful. Nice frames. But isn't there a problem of toe overlap for the white in 51 (see middle pic) ? Sizing small, it's a problem I often get. Where did the metallic frost blue colour go? That was very classy. That metallic rust was also sharp. I can take or leave the white, it doesn't really do anything for me, but I don't dislike it, though I would prefer an off-white or cream. Really, any colour but that green. Something about that green just screams "cheap department store bike" to me. Not sure why, maybe it's the sheen of that particular shade. 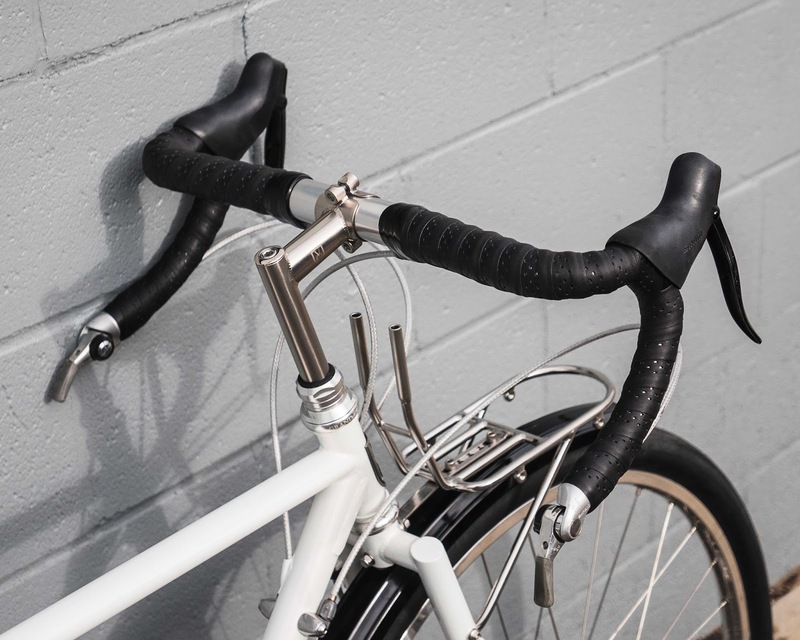 If you've ovalized the top tube so that it's flattened vertically, won't that serve to increase lateral stiffness, which is what you're trying to reduce to create less harsh ride. Some flex is good! There is some toe overlap, but it isn't that bad. The blue is still in the running, we simply didn't get it again since we know what the color looks like. The ovalizing of the top tube is more to improve sure-footedness when standing out of the saddle with a significant rear load. Otherwise, it rides perfectly normally with little or no load. This is great! I'd love a threadless fork! This looks absolutely perfect! Excellent work. The green is beautiful. I would definitely order one of these frames if you're to be making one in 58cm? Is this case? Perhaps this is the opportunity to make 46 cm model for 26 inch wheels that's got a sub 51cm top tube, give the old LHT a run for it's money. You've got to do it eventually. The sizing will go 51, 54, 57, & 60. A nice spread that makes it easy to figure out which size you'd need. 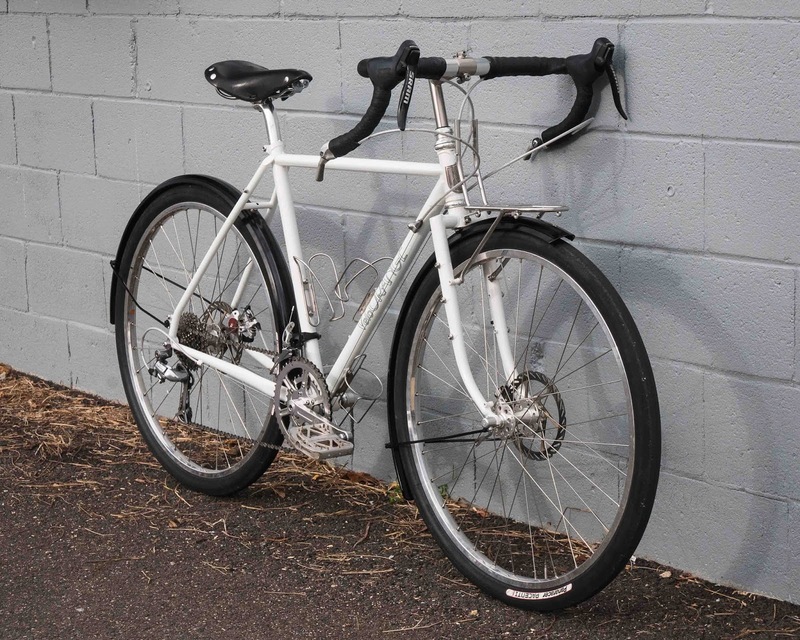 I was wondering if the frame and fork might clear Surly Extraterrestrial 26x2.5 tires. 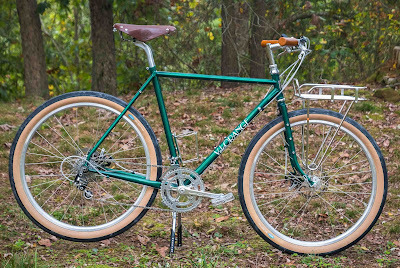 Love the bike but the combo of a threaded fork and disc brakes kill it for me. I would have purchased threadless/dis or threaded/canti. Trail with 650bx47mm tires is the answer to life, the universe, and everything: 42. Those tires won't fit in this frame, but they will in the Piolet! The outline logo on the white frame is something I'd like to see again. Can't say the same about white paint on a "do anything" frame, however. Nice! But disc brakes only (?) will kill it for me. What will be the largest frame size? The green?! That's the color of a suit that only a drunken leprechaun would wear. I vote for for the metallic blue from the previous MKIV prototype. I think it would be good to revisit the thinking process VO got rid of the British Racing Green colour on the PV MKII and went with the nicer dark metallic blue on the PV MKIII. I love all these responses. People obviously feel very passionate about the Polyvalent. It also shows you can't please everyone. For my two cents I would say the blue is far superior. The green is ok, but white bikes are only white for about five minutes. After a year of commuting or touring it's going to look pretty rough. The compromise I would suggest is having a few forks available with threadless steer tubes for those that want to switch. It would be easy to include them in the manufacturing and from the looks of this thread, you would be guaranteed to sell them. Like I said, just my two cents. Re: threaded v threadless, it is easy enough to use one of those quill adapters. The weight penalty is only of concern for people who would't be interested in this frame anyway. VO offers 31.8 quill stems, so that is not a concern. Re: blending traditional and modern, I would put in a plug for the Retroshift/Gevenalle-style shifters, also offered by IRD. Relatively recent in conception, yet feels like it has always been around, brilliant for rando/adventure applications, and very much in keeping with the VO gestalt. 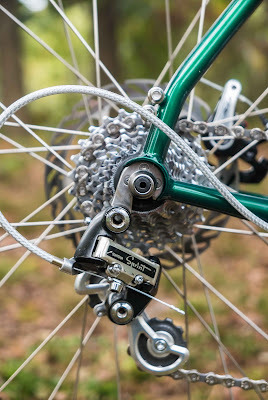 I prefer it strongly over bar-end shifting, at least for the rear derailleur. My vote goes for the powder blue! Seems so much more versatile to me... Black components, silver components, tan accents, white accents all seem to work well. White would check those boxes too but looks much more budget to me. I‘m 6.3 tall and really looking forward to the larger frame sizes like 61,62. Please VO make it happen! Sad to see the fork crown go, but very happy to see even more mounts! Are you gonna spec the geometry like the campeur? Please make the polyvalent in a color other than white! The green is beautiful! Green is my vote. Although a little deeper and more saturated. I have a yellow bike right now, shows the dirt and grime so quickly, and even though I love a white bike they show the road grime. Really keen to see the numbers on this frame! Also interested how the disc brake testing has gone too. 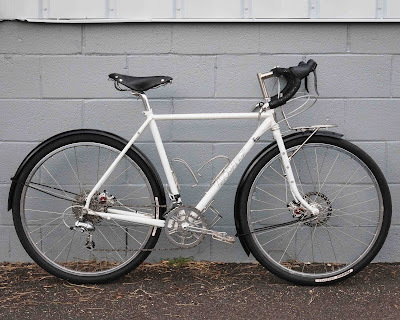 My Surly Straggler has fat, high trail disc forks which still shudder a little at times, and has a fair bit of wheel flop with a front high load. Having lower trail, thinner forks would really make a difference, but I would imagine you can’t make the forks too thin otherwise the discs will cause havoc. Also, what will be the top tube lengths? Will they be longer to cater for flat bar, or will you settle for shorter for drops, or something in between? So many questions - I think you guys are onto an absolute winner! About the COLOR...I suggest something that looks good with common componetry, saddle, tape and cable choices. That green I wouldn't buy. Reminds me of the color of the emerald green 1988 Schwinn Voyageur. 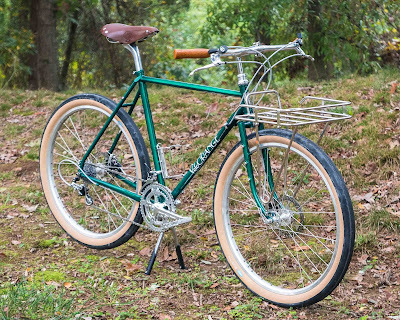 Schwinn only made that mistake once... and it was available for 15 years- in other colors. Very nice to see such a low trail road frame that fit the Rat Trap Pass. 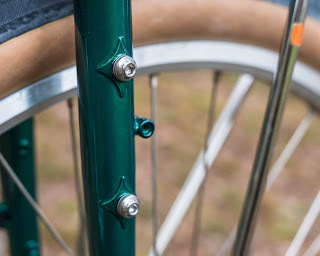 How about adding a hole at the top and bottom of the down tube and at the top and bottom of the fork legs to enable running wires for lighting? 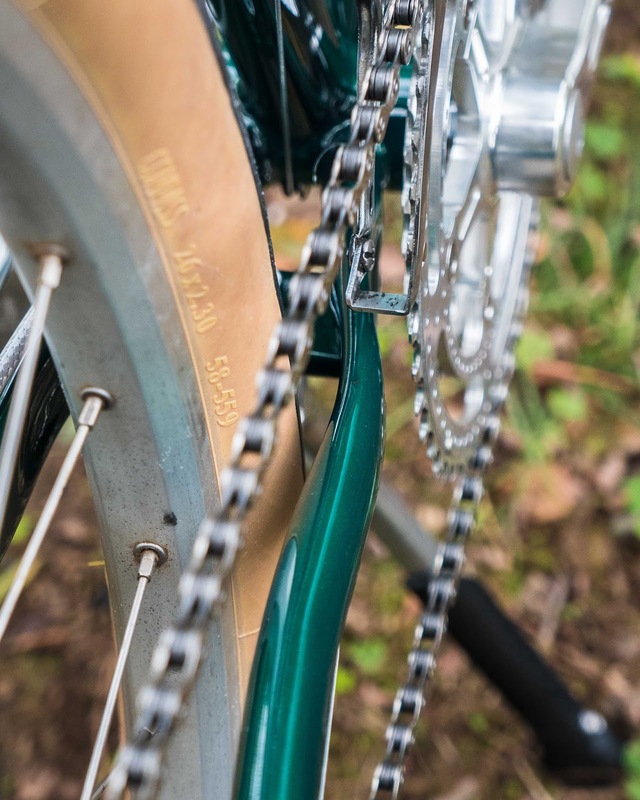 Also, is there a reason the rear dropout eyelets are so high? 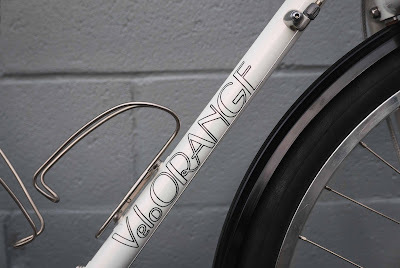 Having the fender mount converge with the seat stays and chain stays feels more harmonious. I like the Curvy handlebar a lot. It's not too different from the stock model on my Trek District, which I've come to love. While I haven't toured on it, the bars have enough positions to remain comfortable on longer rides while affording an upright position with plenty of leverage in the city. That British racing green is beautiful. It has my vote!